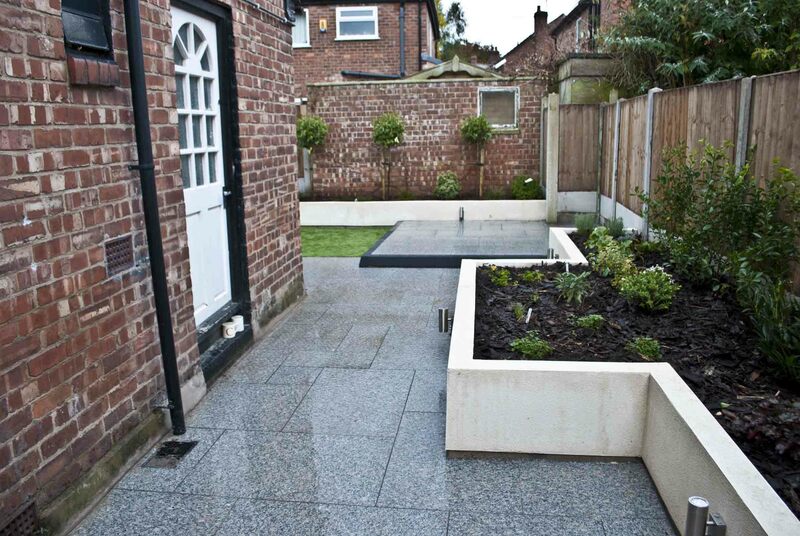 What a transformation this back and front garden/drive have gone through! 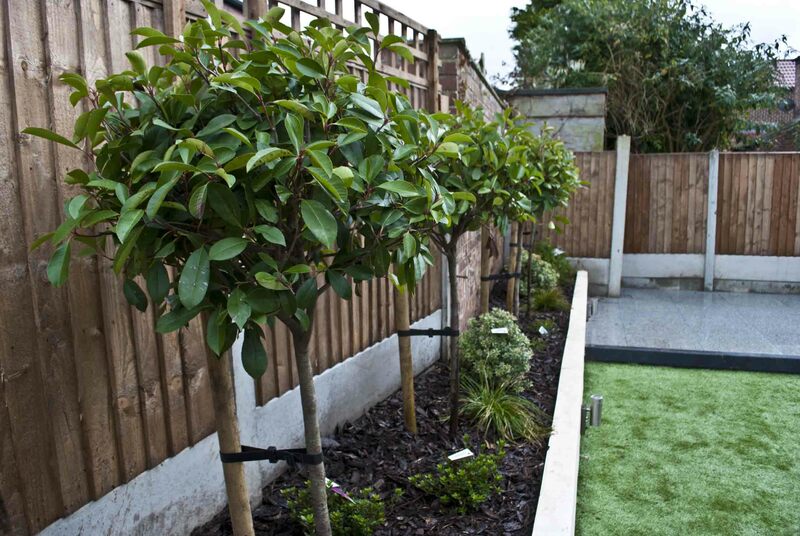 The back garden was over grown and in a bit of a mess when I first visited. 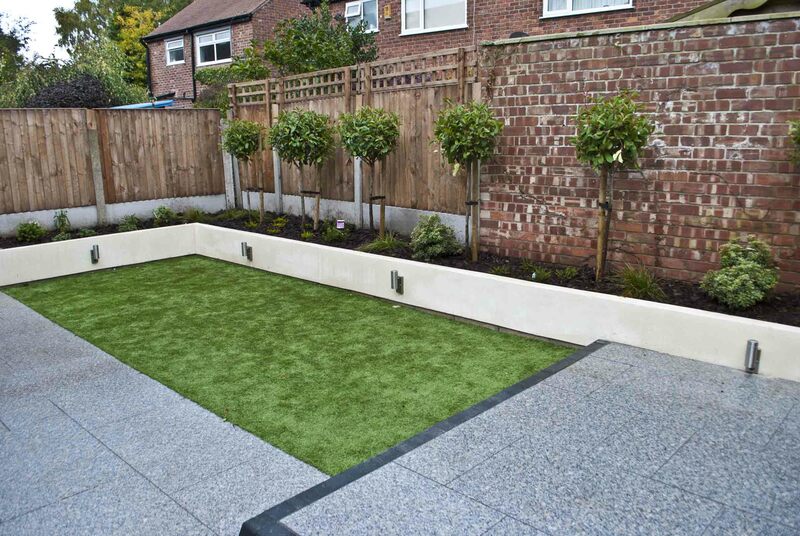 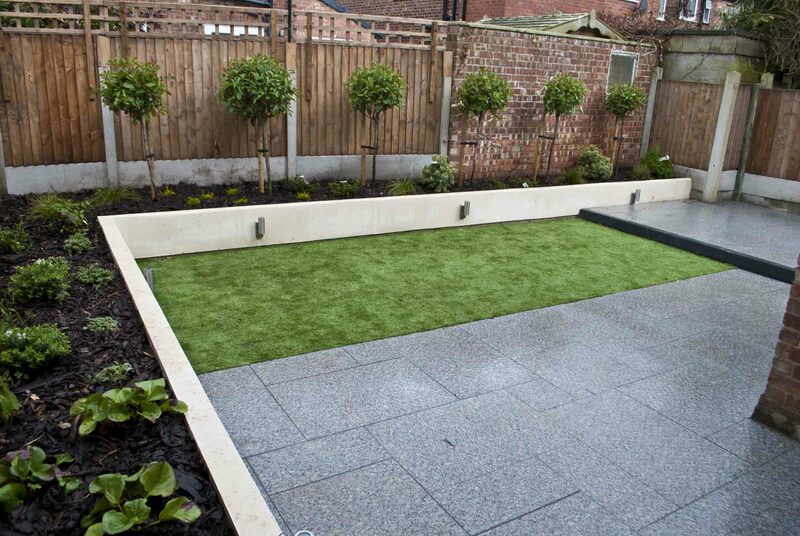 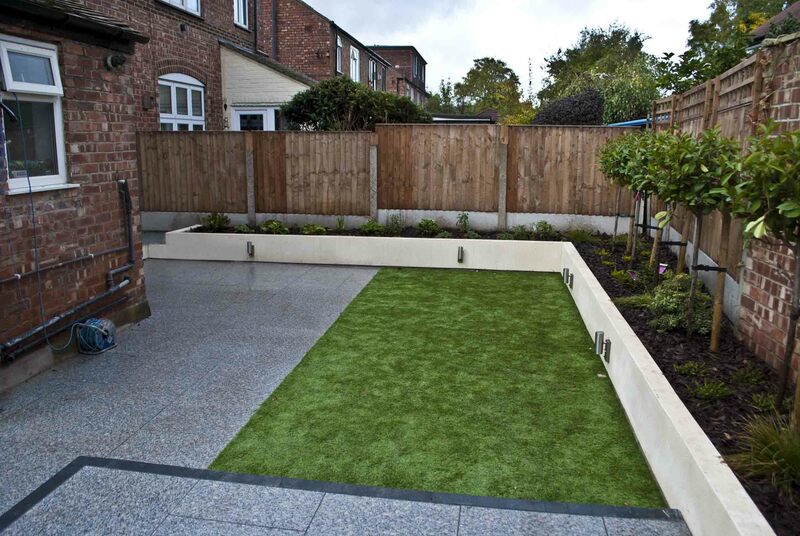 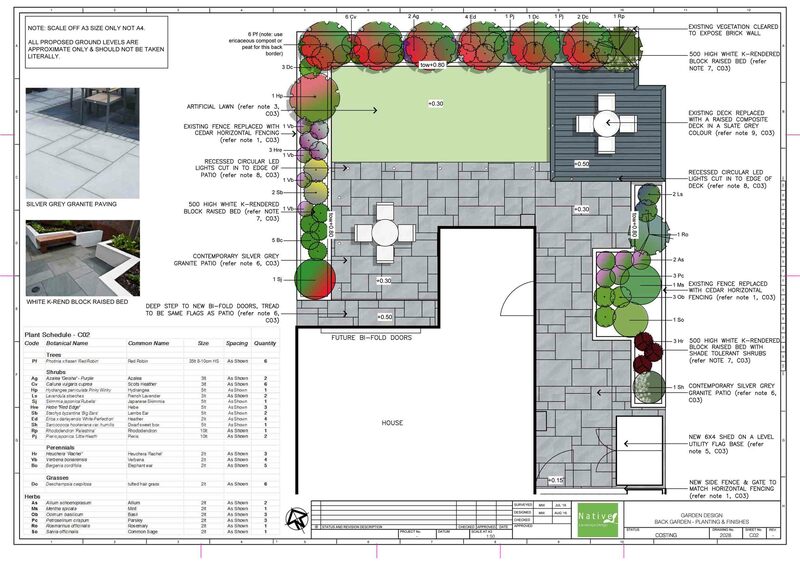 K-rend raised beds with Red robin standards and ornamental grasses/shrubs create a clean back drop to the artificial lawn and the smooth silver grey granite paving give the space a contemporary feel. 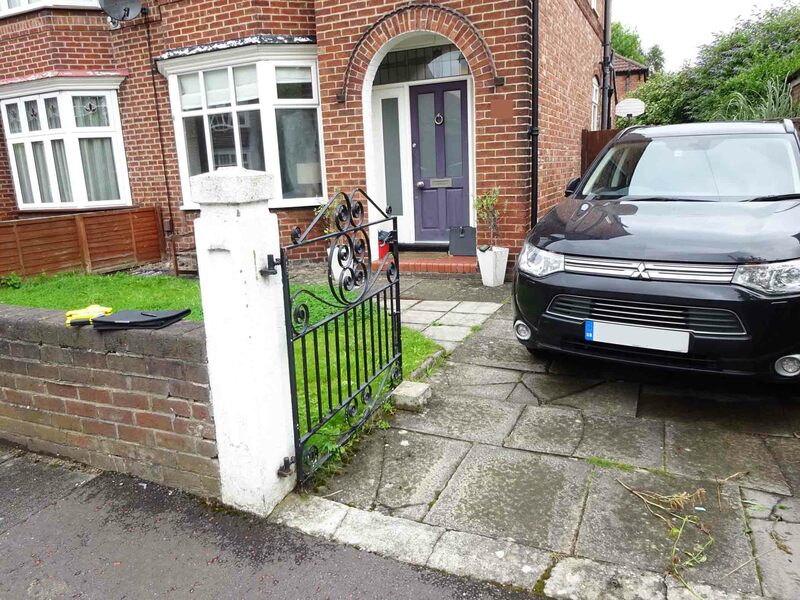 The driveway has been repaved with granite effect block paving with darker contrasting trim. 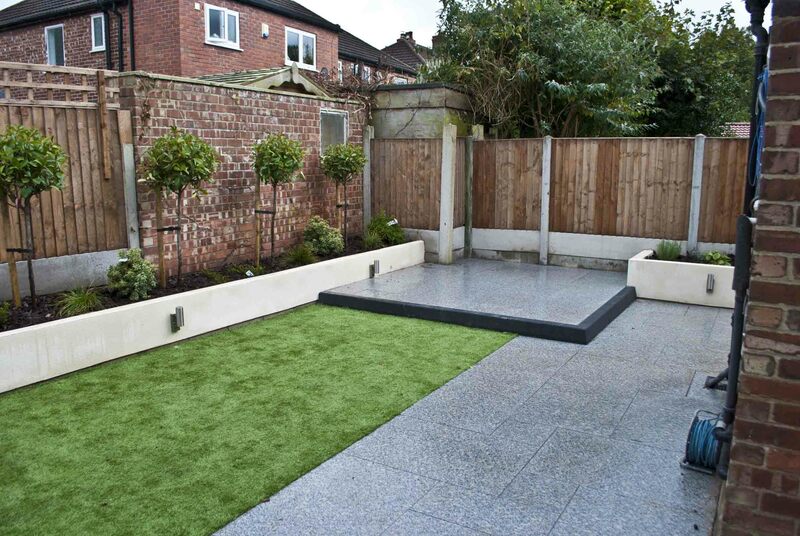 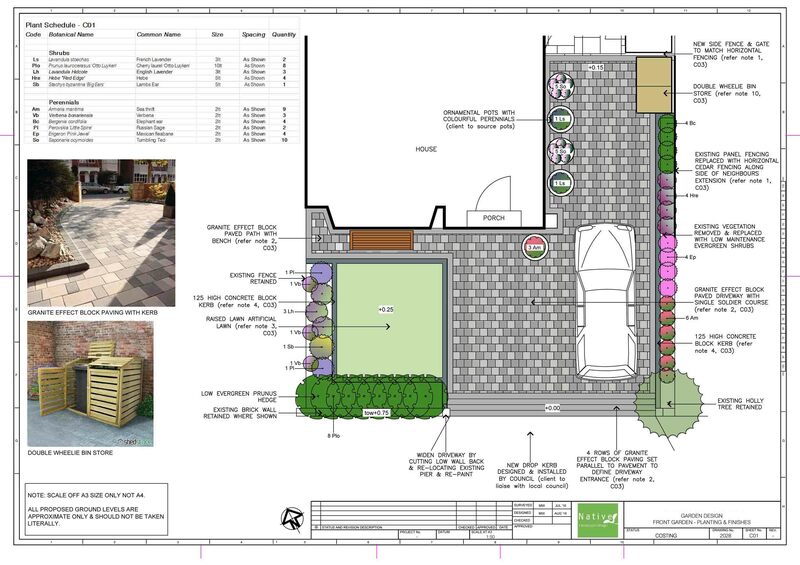 New garden beds and lawn have been implemented along with new horizontal slat fencing, gate and bin store.